2015 has been a rough year for the NBA. The league has already lost greats like Moses Malone and now the game lost one of its pioneers. 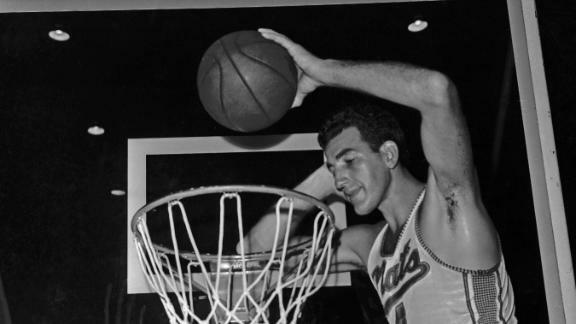 Adolph "Dolph" Schayes passed away on December 10th at 87 years old. With Schayes passing it leaves only Bobby Wanzer as the only remaining National Basketball League star still being alive. Schayes was always the exception to the rule in basketball. 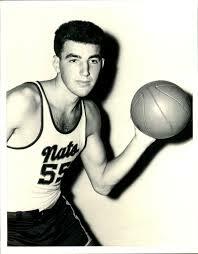 As a 16-year-old freshman he lead New York University to the NCAA final four, and in 1951 he broke his arm and played nearly the entire season in a cast, being one of the only NBA players to ever do so. The Schayes's had four children, including son Danny, who would be a first round pick of the Utah Jazz and play 17 years in the NBA. Following his NBA career Schayes went on the coach the Philadelphia 76ers, winning NBA coach of the year in 1966. Always being the exception, however, Schayes was fired at the end of the year. He would also coach the Buffalo Braves for a couple of seasons in the 1970s.